Roti is a healthy and regular Indian diet dish. There are many ways in which rotis are prepared. Regular roti is made with whole wheat flour which is rich in carbs, fiber and protein. This helps boost your body energy. According to ayurveda roti helps you to balancing vata, pitta and cough. There are many more benefits of consuming Indian roti. 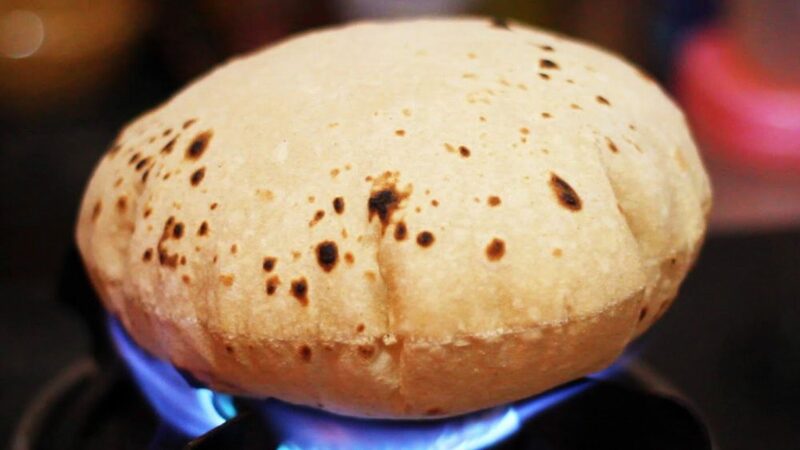 Roti (also known as chapati) is a flatbread originating from the Indian, made from stone-ground wholemeal flour, traditionally known as atta, that originated and is consumed in India and other parts of world. We have listed 9 different types of rotis which you can make it at home. 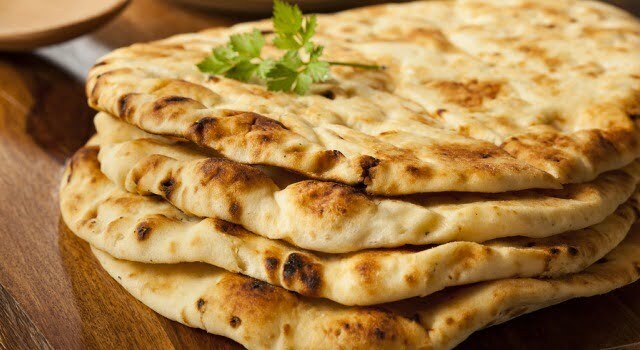 Indian meal, especially north Indian meal is incomplete without naan. 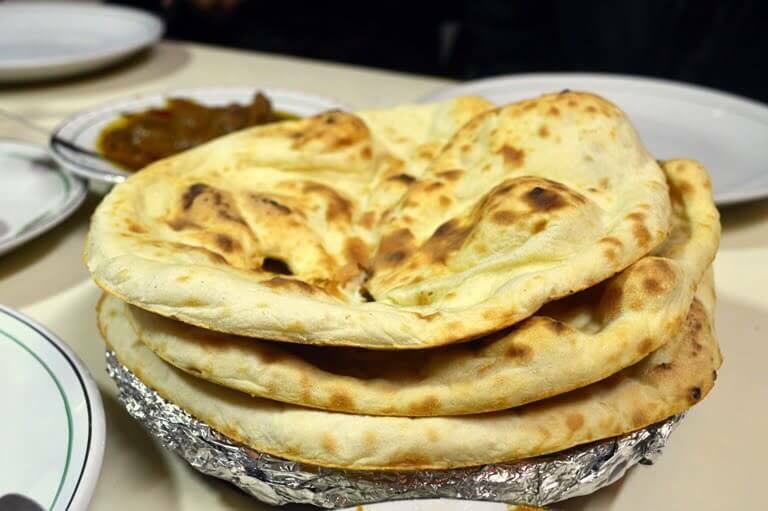 Naan is prepared with plain flour, yeast and oil. People who don’t eat yeast can be use yeast substitute (yogurt, baking powder and milk). The naan is bread prepared in the traditional tandoor, but for those of us who do not have tandoors in our kitchens; here is a secret trick of preparing the naan. Don’t forget to brush butter before serving hot naan. Goes well with any subzi. Tandoori roti is made with whole-wheat flour and traditionally cooked in a clay oven or tandoor. Tandoori roti tastes yummy with any Indian curry or paneer subzi. Here is the simple way of making tandoori roti without tandoor. Kulcha is a type of Indian bread eaten on the Indian subcontinent. Kulcha is regular roti in most of the Punjabi families, made with plain flour and curds. Here the Kulcha has been stuffed with paneer filling. It goes with any mughlai subzi or with chole and rajama. The traditional and multi layered laccha Paratha is prepared with simple dough of plain flour and water. And shallow fry on the tawa. The uniqueness lies in the method of preparations. 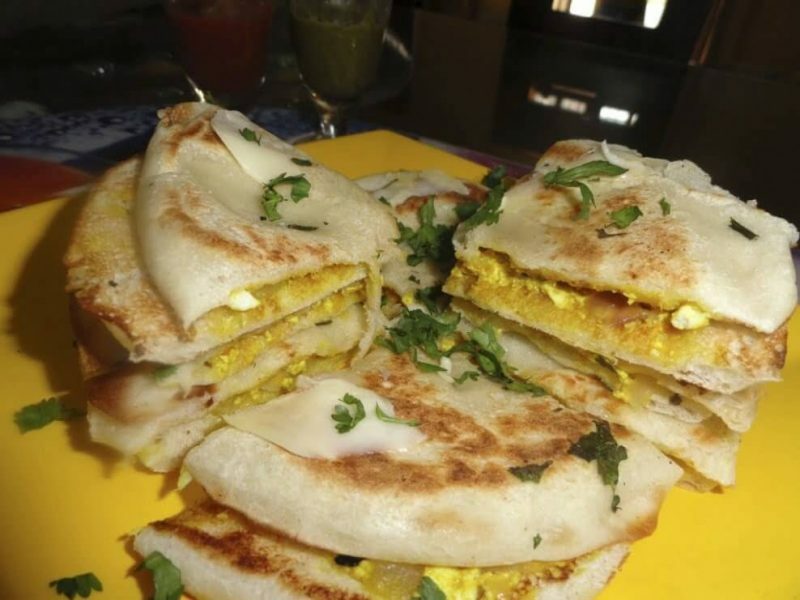 This recipe uses extremely easy and unique technique to help you make preferably layered Paratha. Serve laccha Paratha with tasty China masala. Makhani roti is come from the Mughlai cuisine. They were well-known for their love of ghee, butter and cream. 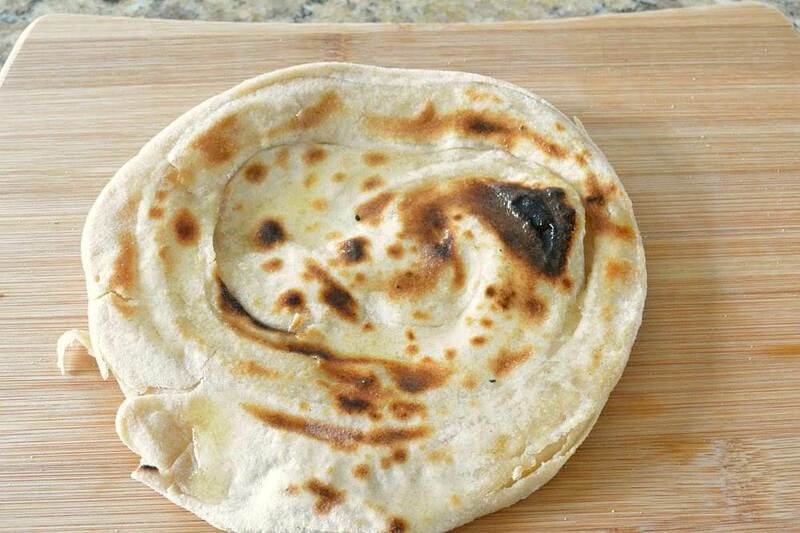 This roti prepared with whole wheat flour, butter and freshly crushed black pepper. Preferably use unsalted butter, if you are using salted butter take care of the salt proportion. Although you can enjoy it with any subzi but I like it with baingan ka bharta or palak paneer. 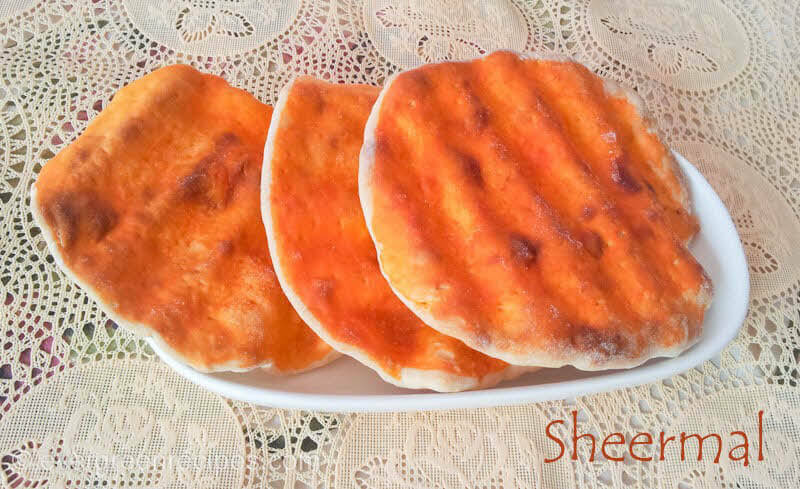 Shreemal is a saffron flavored traditional roti. It is slightly sweet roti prepared with plain flour, loads of ghee, cream and yeast. Baked in the oven. The warm water in the recipe for roti is replaced with warm milk sweetened with sugar and flavored with saffron. Serve with any Indian subzi or dal. This roti is called Khamiri roti because it is prepared by using yeast. In short Khamiri means yeast. The yeast is added in the flour which makes the roti soft and spongy. Khamiri roti taste great with any Indian subzi. You can try to pair it with sarso ka saag and this experiment is worth giving a shot. 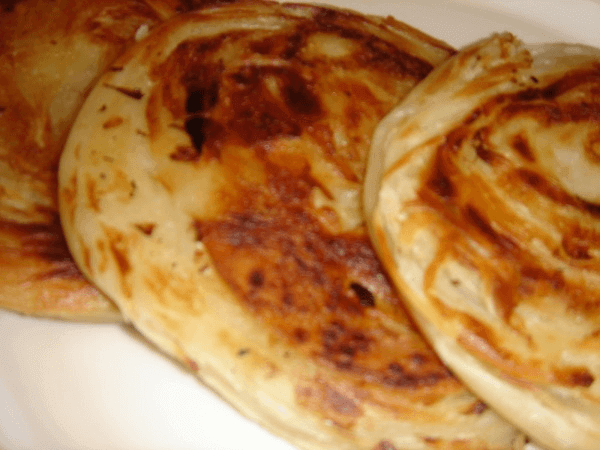 Varqui parathas are prepared with a mixture of wheat flour and plain flour. Individual chapattis are piled up and rolled into swiss roll before they are cut and rolled to form many layered parathas. Try pairing this unique paratha with some unique sabzi like chicken with palak (spinach). This will add some nutritional value to the food. Phulka also known as roti or chapati. The Phulka is a daily bread for many regional Indian cuisines prepared with whole wheat flour. It is not only rich in the nutrients and fibers but also low in fat and very low the stomach. Serve hot Phulka with kadhai paneer, or butter chicken or any other tasty dish. Sounds so mouthwatering and delicious. This is a really good compilation. Indian roti rocks! 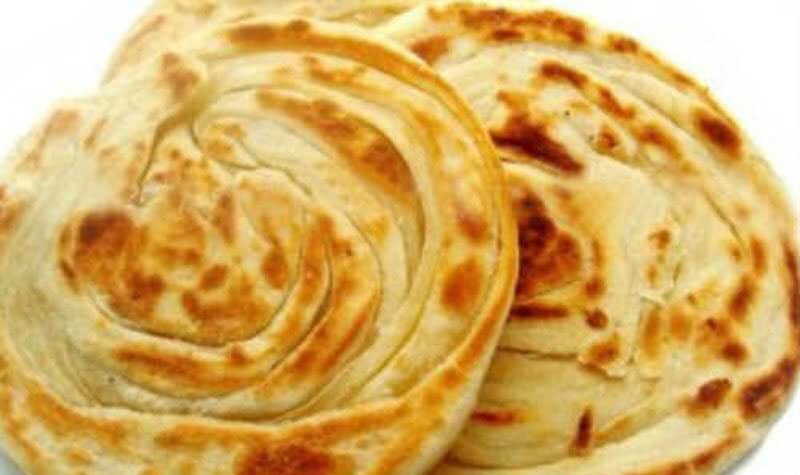 i want to know the recepie of missi roti and how to prepare it. i will be thankful to u for that. Deepika Padukone And Ranveer Singh Finally Getting Hitched! 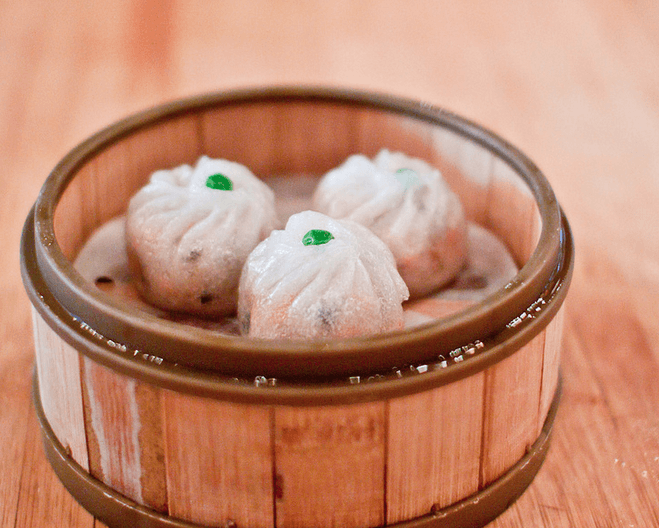 Dumplings, momos or wontons – What’s your favourite ?